Since the return from Winter Break, ISTP has begun to expand its sports program by joining an indoor soccer league and playing against club teams from the area. The Winter Futsal League, as the league is officially called, is comprised of 5 different divisions, with on average 6 teams per division. The league has a short, 2-month season, which makes it practical for students who play in fall and spring soccer leagues to join. ISTP has 3 teams competing in the U11/U12B, U11/U12C and U13E divisions, with 3 distinct grades being represented: 5th, 6th and 7th. The teams are currently coached by Elisa Rérolle, an ISTP alumna from the high school class of 2013. She brings tremendous experience and passion for the game of soccer, having played and coached with the Stanford Soccer Club. As of the second week of the season, the reaction from the players and the parents has been positive. As the season progresses, the goal is to improve our player’s skills, communication and field vision, which should translate to a greater confidence in their ability to compete with more experienced club teams. The current revamped version of ISTP’s soccer program started last year with a futsal tournament hosted by the French American International School (FAIS). Back then, ISTP did not have a formal team yet. But with the help of some great elementary school teachers, a boys team and a girls team of 4th graders were assembled and practiced to compete in the tournament. Their initiative paid off as the teams placed 1st and 3rd respectively after practicing together for only a few weeks. 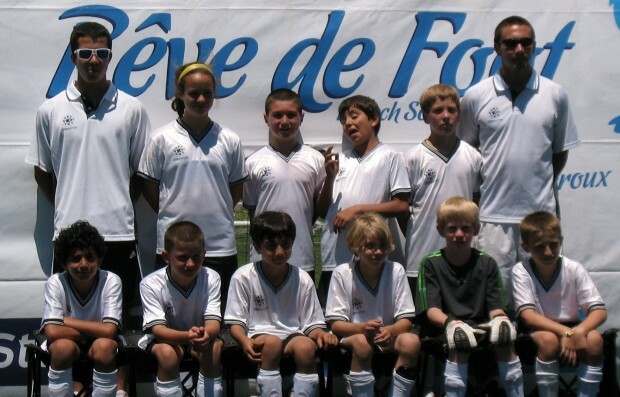 The next challenge came for the Tournoi des Amériques, which was another tournament hosted by FAIS early in the summer. 14 French schools from around the world and as far away as Nairobi competed in a 3-day tournament, culminating in a championship round on the last day. This time around, an official coach and ISTP alumna was brought in to coach an 11-player coed team. The addition of a school alumna to the coaching staff was a great improvement, as he related better to the players’ experiences both in school and on the field. The team was composed of a diverse group of incoming 5th and 7th graders. The team ended the tournament with some great memories and a 4th place finish. In the short term, the goal for ISTP’s soccer program is to finish the winter futsal season with improvements in our players’ skills. A new futsal tournament is being discussed with FAIS and would be a great complement to this futsal season. In the long term, the goal is to set up a program that is sustainable and repeatable yearly by involving the alumni of the school to coach the various teams. An innate sense of trust between the players and the coaches would most likely be formed, as has been the case so far. This program would also allow the school community to grow through a new medium, with current and former students sharing new experiences and ideas through extracurricular activities. If the soccer program is successful and there is sufficient student and parent interest, an expansion into other sports (like basketball) would also be possible. But for now, stay close for more updates on ISTP’s progress in the 2012 Winter Futsal League, as well as updates on upcoming tournament details and sign-up information.